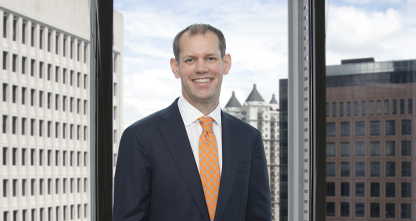 Blake Dorr’s practice includes patent prosecution, invalidity and non-infringement opinions, and counseling clients in international patent matters. Blake worked as a U.S. patent attorney at Onda Techno International Patent Attorneys in Tokyo where he counseled a variety of Japanese clients in US intellectual property matters. While in Tokyo, Blake worked with a number of U.S. and European patent owners in appeal and invalidity proceedings before the Tokyo IP High Court and the Japanese Patent Office Board of Appeals. Blake served in the Navy as an engineering officer on the USS Chief and USS Decatur prior to becoming a patent attorney.